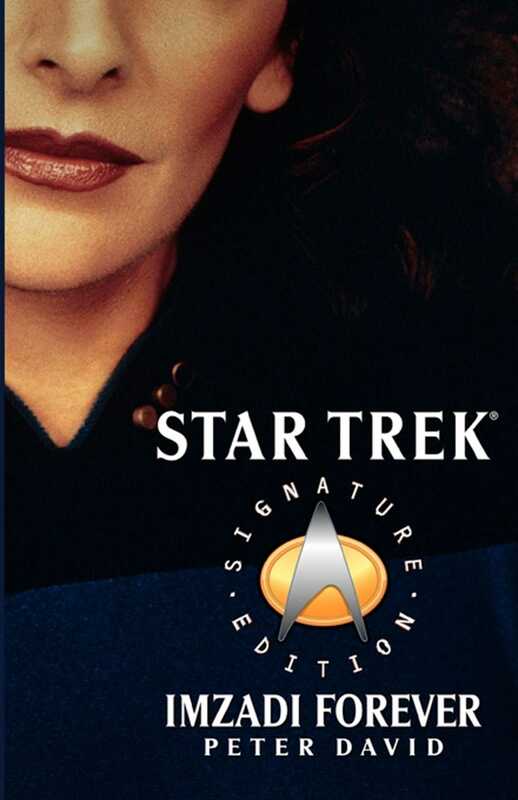 Imzadi: to the people of the planet Betazed, including Counselor Deanna Troi of the Starship Enterprise, it means "beloved" and denotes that which can never be truly broken. Yet to whom does Deanna's heart truly belong? Commander William Riker was the first Deanna called Imzadi. Long before they served together on board the Enterprise, they shared a tempestuous love affair back on Betazed. And even now, many years later, Riker will embark on a desperate journey across time and space to save Deanna's life. But Riker is not the only Starfleet officer to capture Deanna's heart. Lieutenant Commander Worf, the fierce Klingon warrior, is also drawn to Deanna's gentle and caring nature. Brought together by fate, he and Deanna share an unexpected passion that tests the bonds between Troi and Riker -- even as a deadly Romulan conspiracy threatens them all! This edition includes Imzadi and Imzadi II: Triangle.